The knees are the biggest, most complex and overused joints in the human body. Knee complications often appear as sharp knee pain at rest, difficulty when walking, pain in the back of the knee, popping or crunching noises. Knee arthrosis or torn meniscus are often the source of pain. 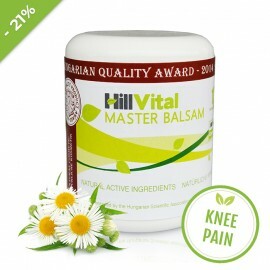 Master balsam helps to reduce these sharp pains and swelling of the knee. Master cream revitalizes and helps relieve knee pain thanks to the high content of valuable high-quality concentrates. Master’s unique composition will help you achieve the best possible levels of relief from pain and inflammation. 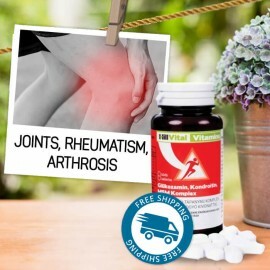 Glucosamine, MSM, Chondroitin is a unique mineral cartilage and joint supplement. This combination of three substances helps supply the body with ingredients that help with regeneration of damaged cartilage and joints. According to various studies, these substances can help with degenerative and chronic conditions. Arnica has proven to be beneficial in suppressing swelling. Salikort Cream helps treat knee injuries in the form of a highly effective topical treatment. It supports proper functioning and mobility of the muscle and tendon tissue and acts as a potent anti-inflammatory. According to our customers, Salikort helps with meniscus pain as well as popping and cranching noises which are accompanied by swelling and inflammation. 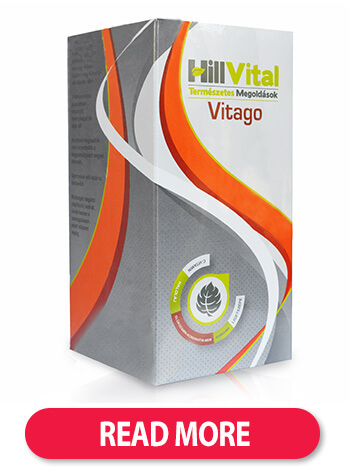 For chronic knee pain, try our high quality vitamin nourishment Vitago. It helps improve functioning of tissues, regenerate joints and alleviate their overuse. Our intense monthly cure contains a high concentration of vitamins, minerals, active substances and oils beneficial for joints. Ease the pain and discomfort with herbs. 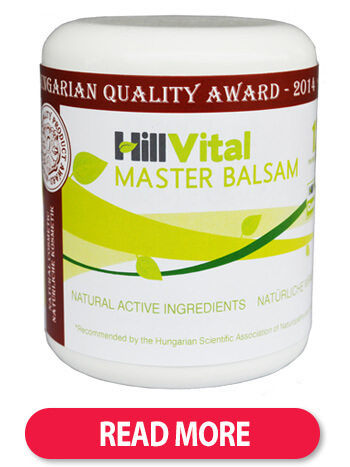 HillVital natural products can help boost joint mobility, increase joint flexibility, reduce pain and discomfort. Master cream for knee pain Relieves tension Regenerates damaged tissues Relieves k..
Natural Master balsam is specifically developed for knee pain, pinching and cracking inside the knee or for treating meniscus pain. 12 herbs act in a soothing way and help stifle strong and sharp pain. Most cases of knee pain are accompanied by sharp pain in the joint proximity such as inflammation, swelling and stiffness. You can experience pain at rest, when walking, in the back of the knee, inside the knee or on the side. Cracking or popping of the knee is quite common too. Injections: Physicians opt for hyaluronic injections to help and temporarily relieve pain. Equipment and brace: You can protect your knees with a walking stick or a brace. A brace can help relieve pain, increase functionality or mobility. Orthopedic insoles can be a great prevention offering support and improving feet functionality. Physical and work therapy: Therapy is conducted by a physiotherapist or work therapist. Optimal weight: Optimal weight control should be followed by people of all ages, genders and occupations. 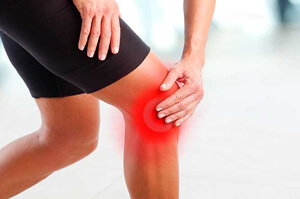 How to treat knee pain naturally? 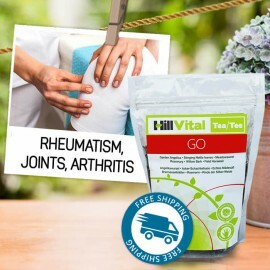 When it comes to knee health issues, you can choose from various popular natural alternatives. Coconut oil: Coconut oil has powerful anti-inflammatory properties that heal both knee pain and inflammation. Capsaicin: Cajun spices or chilli peppers are a great source of capsaicin which warms up painful areas, relieves pain and treats swelling. Mustard oil: Effectively improves blood circulation and stifles knee pain. Olive oil: Effectively treats painful and swollen knees. Turmeric and ginger: Strong anti-inflammatory properties calm inner and external knee pains and help treat pain and swelling. 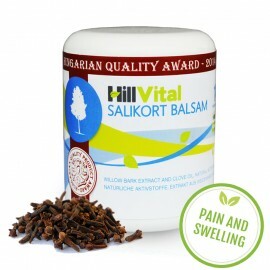 White willow bark: Rich in salicin which helps relieve rheumatoid arthritis. Natural analgesic for pain and inflammation. Camphor: Exceptional properties improve blood circulation and provide a warming effect which helps relieve muscle pain and treat rheumatic joints. Effectively helps with knee pain, pinching and cracking in the knee.